Please note that a valid credit card is required at the time of booking. Authorization for one night's room and tax is required on the day of arrival. Reservations booked with invalid credit cards will be canceled after one courtesy call. Receive an IKEA® Gift Card! 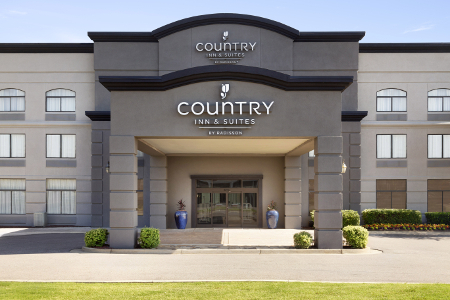 Whether you’re visiting the Memphis area for business or pleasure, the Country Inn & Suites® by Radisson, Wolfchase-Memphis, TN is perfectly positioned just off I-40 for easy, 20-mile commutes to the city known for blues, jazz and rock 'n' roll. 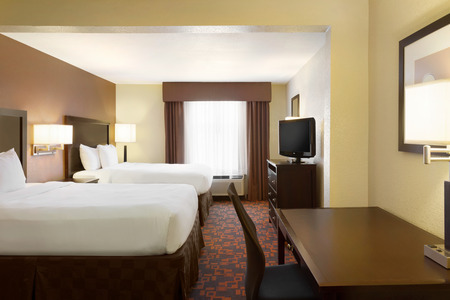 Beale Street's nightclubs and restaurants, the FedExForum arena and AutoZone Park baseball stadium are all within 30 minutes of our Cordova hotel. For activities even closer, check out IKEA Memphis or shop your favorite stores at the Wolfchase Galleria mall. You can also see a movie at Wolfchase Cinema Grill or ride a zip line at Shelby Farms Park. If you need sleeping space for up to six people, book our Executive Two-room Suite, which features a bedroom, a living room and two sleeper sofas. 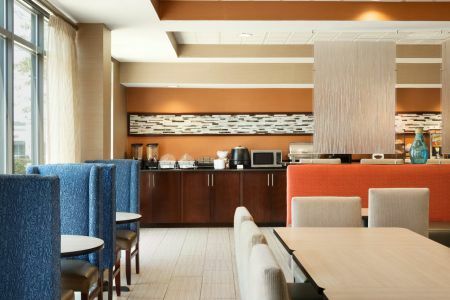 Wake to our complimentary, hot breakfast every morning of your stay. Choose from options like eggs, waffles, cereals, and an assortment of breads and morning beverages. You can sit down to a tasty lunch or dinner at a wide assortment of nearby restaurants, including Jim 'N Nick's Community Bar-B-Q conveniently located across the street and the Casbah Restaurant, located less than a mile away. Wolfchase Galleria – Stay within two minutes of this regional mall, home to more than 120 specialty stores and restaurants. Shop all your favorite brands, or look for deals at anchor stores like Dillard's, Macy's and JCPenney. When you need a break, slip into the movie theater to see the latest blockbuster. Gameday Baseball – In town with a sports team? This complex offers numerous practice and tournament fields about three miles from the hotel. Gameday Baseball’s programs provide opportunities for teams of all skill levels to compete against each other. Shelby Farms Park – Enjoy the outdoors at Shelby Farms, a park located about 10 minutes from the hotel. The park’s lakes, natural forests and wetlands serve as home to an abundance of wildlife. Pack a picnic lunch and stroll the trails for a glimpse of deer and turtles, and watch for a bison herd that roams the park’s 56 acres of pastureland. 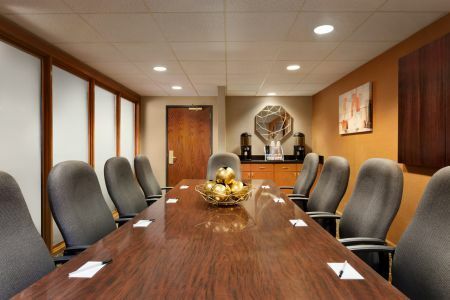 Our proximity to east Memphis, Germantown and Wolfchase makes our meeting facilities convenient for hosting area corporate events, wedding receptions, family reunions and birthday parties for up to 50 guests. To ensure your event is a success, you can take advantage of free Wi-Fi, audiovisual equipment rental and coffee service. 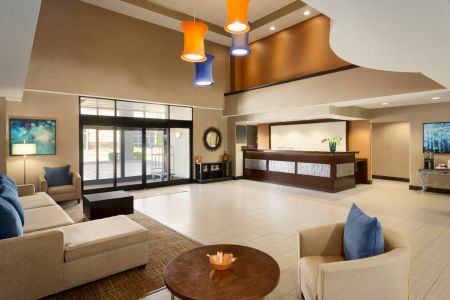 See what guests are saying about us.